Located on the river end of the resort Happy House makes you happy as you sit back on your covered balcony sipping a bintang overlooking the waves. 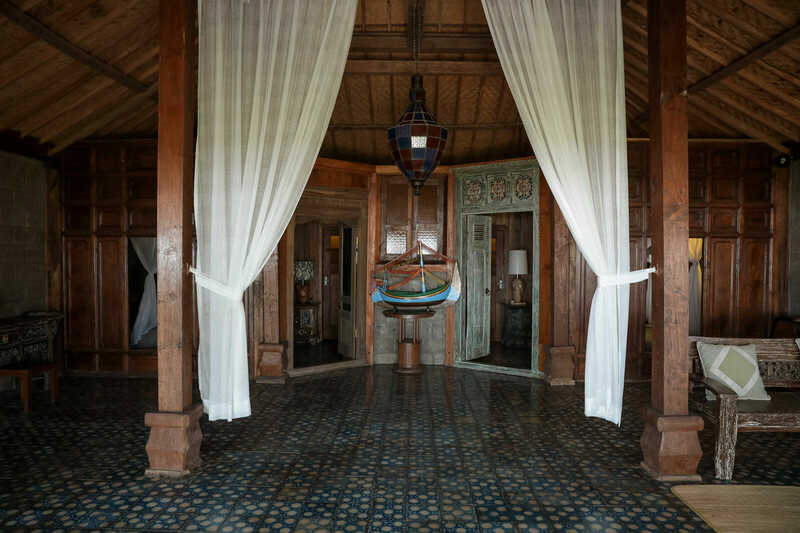 A larger version of the Joglo it has 2 private King rooms, 2 bathrooms and 4 additional single bamboo bed. The lounge space is very large and has bar with fridge, electric kettle, cups, glass, plate, fork, spoon, coffee and tea. © 2019 Pondok Pitaya - Hotel, Surfing & Yoga at Balian Beach Tabanan Bali. All Rights Reserved.